Leading up to the World Cup (which vies with the Olympics as the best sporting event in the Universe), I will be previewing each team participating in the Brazilian extravaganza (in my own 4 part extravaganza). Last week I previewed teams ranked 25 – 32 (AKA the minnows). This week I’m covering teams ranked 17-24 (AKA those who may go better in the next World Cup, if they make it, that is). Rankings are according to the current market odds. I will leave my predictions for part 4. No real surprises in this bunch. Firstly, a few words on another issue. A rock solid defence or an unstoppable attack? Which is more effective, outscoring or out boring your opponent? Teams with good goal keepers should do well, regardless of their strike power. Nice to have both but it raises the question – if you could only have one, is it better to have good strikers or a good goalie? The lack of a top flight goalkeeper might come back to bite Brazil and Argentina if they’re not on their game. Conversely, Germany (Neuer), Spain (Casillas) and France (Lloris), owners of the best goalkeepers in the world will not fret as much. On to the next 8. Emmanuel Emenike – Currently being courted by Liverpool, Everton and Tottenham in the EPL, the 27 year old has a game based on both speed and power. He will have to be clinical up front for Nigeria to progress far in this World Cup. Nigeria has the largest number of butterfly species in the world. Br – Bromine – Bromine is the only nonmetallic element that is liquid at ordinary temperatures. It is a dense, reddish-brown liquid which evaporates easily at room temperature to a red vapor with a strong, chlorine-like odor. Bromine is less reactive than chlorine or fluorine but more reactive than iodine. Nigeria should do better than it does. In terms of raw talent and pedigree it has gone into a number of World Cups primed to make noise but rarely has. This year is no exception with Nigeria being the current holders of the African Nations Cup. Nigeria aren’t in a particularly difficult group with Iran and Bosnia and Herzegovina the two teams they will be targeting for a win but don’t be surprised if they underwhelm us again. I read an interesting article which hypothesised that Nigerian players are born with natural talent that is trained out of them by European clubs. There might be something in that. Stephen Keshi will be hoping he can wake the sleeping giant. I didn’t plan to make it a regular thing, however, I couldn’t go past the Sunshine Stars for my favourite team name this time. It would be hard to stay depressed following a team like the Sunshine Stars. Michael Essien – Perhaps considered an underperformer on the international level (as compared to his exploits at clubs like Chelsea and AC Milan) this could be his time. The currency unit in Ghana is called the cedi. The word ‘cedi’ comes from a local word meaning ‘a cowry shell’ as cowry shells were once used as money in Ghana. I – Iodine – Iodine is a bluish-black, lustrous solid. Although it is less reactive than the elements above it in group 17 (fluorine, chlorine and bromine) it still forms compounds with many other elements. Although iodine is a non-metal, it displays some metallic properties. This is a team with real pedigree (especially in the midfield which is their real strength) which should test the other teams in its group. Unfortunately, they have been drafted into a veritable group of death with Germany, Portugal and the USA. With the right draw they could have built on their strong 2010 campaign where they made it all the way to the Quarter Finals. Chock full of talent tested in Europe on a regular basis this team could have gained momentum as the tournament went on but it looks like they won’t see the second round. Please tell me that the Mamelodi Sundowns (South Africa) and the Sunshine Stars (Nigeria) play in a pre-season friendly every year. If they don’t, they should. Jozy Altidore – He is the focal point of the US attack but is coming off arguably the worst season of his career as he scored only once for Sunderland ending the season amongst the substitutes. This compares unfavourably with the previous season in which he netted an astounding 31 times for AZ Alkmaar in the Eredivisie. US hopes rest on his shoulders. There are three towns called ‘Santa Claus’ in the USA. O – Oxygen – Oxygen in its common form (O2) is a colorless, odorless and tasteless diatomic gas. MLS is at best the fifth most popular sport in the US so consistently qualifying for the World Cup finals has to be an achievement in itself. That being said the US is still by strict definition a developing Football nation. Jurgen Klinsmann controversially left out Landon Donovan (arguably his country’s best ever player) from his final squad on the ground that Donovan is half a step slower than his competition in the squad. Conspiracy theories have abounded since then, however, probably the most important factor facing the US is their unfortunate residency in the Group of Death with Germany, Portugal and Ghana, all of which have realistic chances of progressing. They are a team which makes up for their limitations by an impressive workrate. It doesn’t seem like that will be enough to get them to the second round. 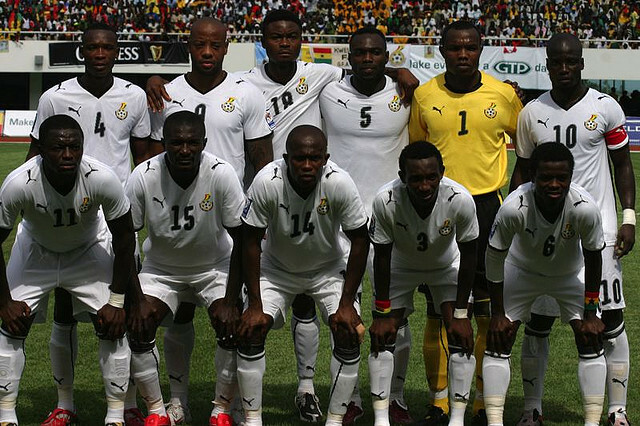 Their first game against Ghana will be crucial. The European feel to MLS teams like Real Salt Lake, Houston Dynamo and Sporting Kansas City is mildly amusing but my favourite team name has to be the Seattle Sounders amongst this playing group. Edin Dzeko – The Bosnian Diamond will be crucial to Bosnian hopes in Brazil. He is the all-time leading goal scorer for Bosnia but has had to compete with an impressive array of talent in the Manchester City side for playing time over the last 4 seasons. He is coming off the back of an impressive second half of the season for Manchester City in the EPL and Bosnian fans will be hoping he can translate this (along with stellar international form in qualifying for the World Cup) during the World Cup. It has the last remaining jungle in Europe at Perućica. S – Sulphur – Sulphur is a soft, pale yellow, odorless, brittle solid. It burns with a blue flame, oxidizing to sulfur dioxide. The best known sulfur compound is hydrogen sulfide (H2S). This is a toxic gas that smells like rotten eggs; the smell is used in stink bombs, many of which release a small amount of hydrogen sulphide. This is the first appearance for Bosnia and Herzegovina in the World Cup, though the former Yugoslavia had many forays in the finals. They had an impressive qualification campaign though they have stuttered since then in friendlies with Argentina and Egypt. Dominant up front they have weaknesses in all other places and will be looking to outscore opponents. Fortunately they are in one of the weaker pools with only the game against Argentina fixing to be a certain loss. Games against Nigeria and Iran though tricky are winnable. Unfortunately, there isn’t a lot of depth behind Dzeko and Ibisevic who appeared in every qualifier. Given they play 4-4-2 all of Bosnia will be hoping they remain intact during the campaign. Will they burn brightly with a blue flame, remain a yellow, brittle solid or drop a toxic stink bomb. Surely the pressure of the World Cup will reveal all. I’ve always liked the sound of Hajduk Split. Apparently whenever they play their main rivals Dinamo Zagreb it is called the Eternal Derby. That is some rivalry. Shinji Kagawa – To say Kagawa found it hard to earn playing time in Manchester United this year is an understatement. Despite this vote of no confidence at club level, at the international level (and at previous clubs) he is a dynamic attacking midfielder who along with Keisuke Honda is the engine which runs Japan’s offence. Much will depend on him. Coffee is very popular in Japan and Japan imports approximately 85% of Jamaica’s annual coffee production. Kr – Krypton – Krypton is a colorless, odorless, inert gas. Although it is extremely unreactive krypton can react with the very reactive gas fluorine. With an energetic and productive midfield and an underrated attack, Japan find themselves in a tricky group along with Colombia, Greece and Ivory Coast. All four teams are capable of progressing with no easy beat clearly defined. Much will depend on form and match ups. Colombia is dynamic and is a dark horse choice for winning the whole shebang. Greece is normally impossible to break down and it wouldn’t surprise if they played out three scoreless draws. Ivory Coast will also be difficult to defeat though not unbeatable. The upshot is that the Blue Samurai will have their hands full reaching the second round. Sanfrecce Hiroshima gets the nod this time. Apparently Sanfrecce means three arrows in Japanese (san) and Italian (frecce). Antonio Valencia – Pace and the ability to score are this attacking midfielder’s main calling cards. Ecuador will need him to use both to great effect if they are to progress to the second round. Lunch is the largest meal of the day. P – Phosphorus – White phosphorus is a highly reactive, waxy, white-yellow, transparent solid with acrid fumes. It emits a weak green glow (luminescence) in the presence of oxygen. I love counter attacking teams. Use it or lose it. Ecuador is a prototypical use it or lose it team. It is fast and talented with the ability to score from anywhere on the park. Almost unbeatable at home unfortunately the same can’t be said for their away form which doesn’t bode well for their tournament in Brazil. Likewise, their lack of organisation defensively could also spell disaster especially against mercurial France and organised Switzerland. They should be able to chalk up a win against Honduras but unless they can score more goals than they let in against France and Switzerland it may be a short stay in Brazil. That being said no-one knows which French team will arrive for the tournament. With that wildcard there is a very real possibility anything could happen in this group. Universidad Catolica – I don’t know why. I just like it. Luka Modric – Modric is a superstar in anyone’s language, however, when you play for Real Madrid you have to compete with a galaxy of stars for attention. For Croatia he is the focus of their attack and things begin and end with his ability to unlock the door for his strikers. Ties were invented in Croatia. F – Fluorine – Fluorine is the most reactive and the most electronegative of all the elements. Fluorine is a pale yellow, diatomic, highly corrosive, flammable gas, with a pungent odor. It is the lightest halogen. It reacts violently with water to produce oxygen and the extremely corrosive hydrofluoric acid. A perfectly balanced side with a surplus of talent Croatia have the frustrating ability to underperform against the teams they should beat and compete with the stronger teams it faces. This simply won’t do in Group A. Brazil will most likely be a loss but Croatia could easily win against Mexico and Cameroon and find itself in the knockout stages of the tournament where anything could happen. Which Croatia side will we see this World Cup? Dynamo Kiev – I get the sense of industry whenever I hear this club’s name. Yaya Toure – The Manchester City superstar could light up the World Cup with his defensive steel and ability to score or unlock goals for others. Whether or not the Elephants can make a noise in this competition will largely depend on him. Ivory Coast was the first non-English speaking country to win an Academy Award. Na – Sodium – Sodium is a soft, silvery-white metal. It is soft enough to cut with the edge of a coin. Sodium burns in air with a brilliant yellow flame. 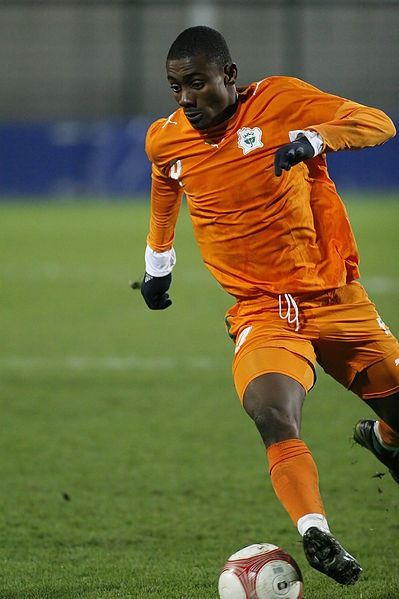 Ivory Coast is a footballing nation which has delivered little on the promise of its golden generation. Any team with Didier Drogba and Yaya Toure (plus a smattering of other stars like Wilfried Bony and Cheick Tiote) will have great expectations. Unfortunately, the window is slowly closing with not a lot to show in either the World Cup or the African Nations Cup. They are in a tricky but winnable group along with Colombia (injury concerns over Radamel Falcao), Greece (attacking limitations) and Japan which could be won by any of the teams though likely to be topped by Colombia. Second place is up for grabs. Will this be their time or will this be another case of missed opportunity? Nothing really stands out here. Probably because most of the clubs are well known. Just to keep the theme running I’m going with Basel. Konrad Hurrell is playing like a runaway freight train at the moment. The Warriors are also slowly lifting themselves off the canvas. Signs of life from the Raiders. State of Origin. It is that good every single year. So much to like from the first game. Both sides defended themselves to a standstill. NSW second half goal line defence was especially stout. Both fullbacks were standouts, especially Jarryd Hayne. Seems a little unfair that the Raiders get to face the Cowboys sans Johnathon Thurston, James Tamou, Matt Scott and Brent Tate. Bulldogs v Roosters would have been a cracker with a full contingent as well. I’m always banging on about it, but, stand-alone representative week doesn’t sound so bad now does it? Fans of the Bulldogs and Cowboys are nodding. Not looking like a good build up for the Socceroos, drawing to a heavily depleted South Africa. Expectations are recalibrated again. Heartbreaking for players cut as squads are trimmed leading up to the World Cup as well. David Taylor – Run Metres – 135m, Tries – 3, Try Assists – 0, Tackle Breaks – 4, Tackles – 13, Offloads – 1, Line Breaks – 0, Errors – 2 and Coal Trains who felt snubbed when the State of Origin sides were selected – 1. If you had to choose, would you prefer a rock solid defence or an unstoppable offence? Which gives you a better chance of winning? This entry was tagged Australia, FIFA, Football, NRL, Rugby League, Soccer, World Cup. Bookmark the permalink.